Shane's Rib Shack Participates in Arizona's Litchfield Park Festival of the Arts for the 7th Year! Among other vendors at the Litchfield Park Festival, Co-owner Bruce Stork, of Shane’s Rib Shack in Glendale and Phoenix Arizona, will be participating in the upcoming Litchfield Park Festival, again, this November! 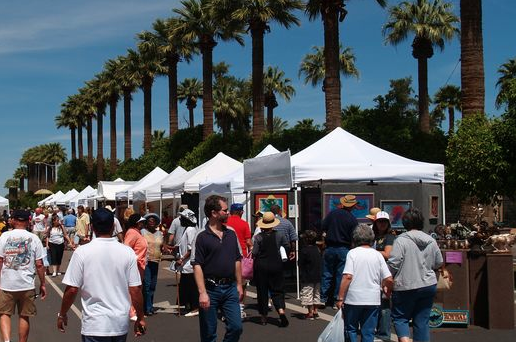 The Litchfield Park Festival of the Arts is one of Arizona’s most popular celebrations of art, food and music, and always attracts a large crowd to the area. The festival will occur November 8th-9th in downtown Litchfield Park. Shane’s Rib Shack of Glendale/Phoenix has participated in the event 7 times, and plans to continue being part of the event in the following years to come. Stork promises guests, as always, to serve a popular menu of Shane’s specialty pulled pork sandwiches, chopped chicken sandwiches, macaroni and cheese, garlic fries and chicken tenders! All Shaniacs of Arizona, be sure to stop by the Litchfield Park next week and enjoy the music, art exhibits and OF COURSE, stop by the Shane's Rib Shack tent to grab lunch! !